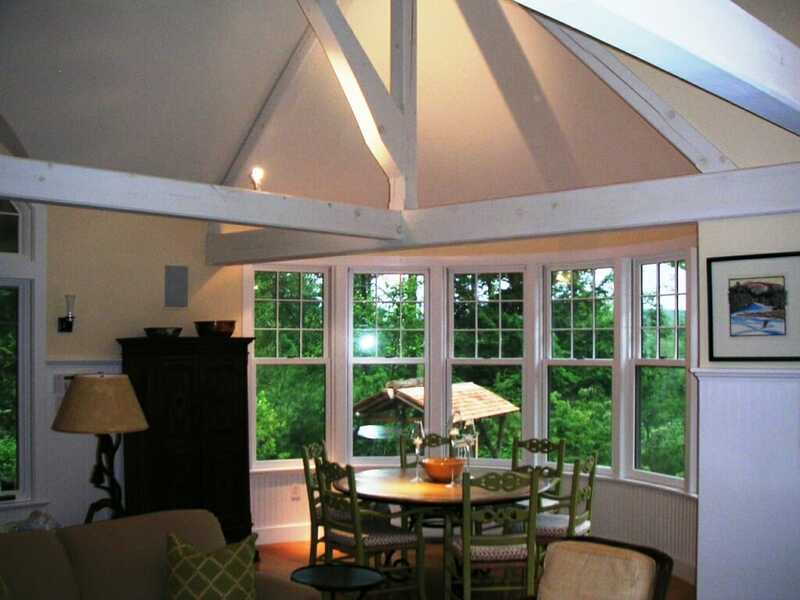 The Malt Pool House is in Peterborough, NH. 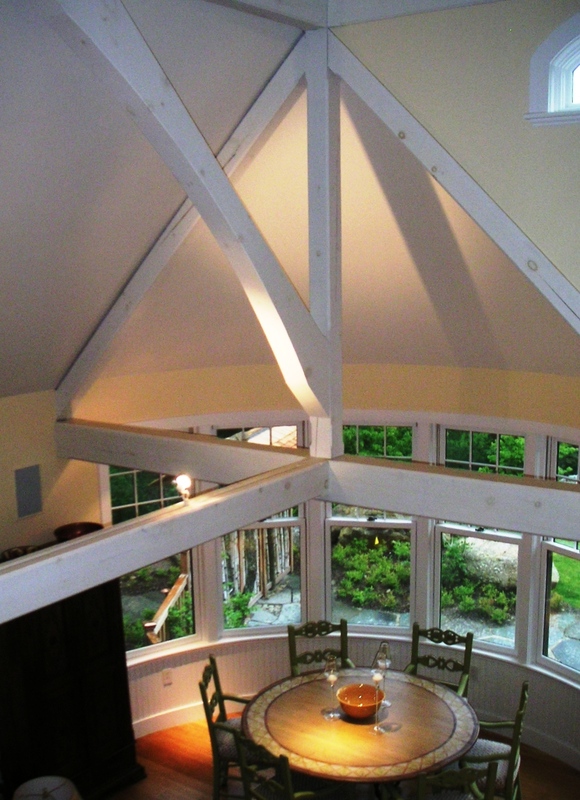 Vermont Timber Works provided a modern timber frame with pickled white beams for this residential client’s pool house. The frame was constructed using eastern white pine, 1” birch pegs, and a urethane stain. We worked with architect Richard Monahon, Jr and general contractor Grashow Corporation on this project. If you like this timber frame pool house, or have timber work questions, we encourage you to get in contact or ask an expert! 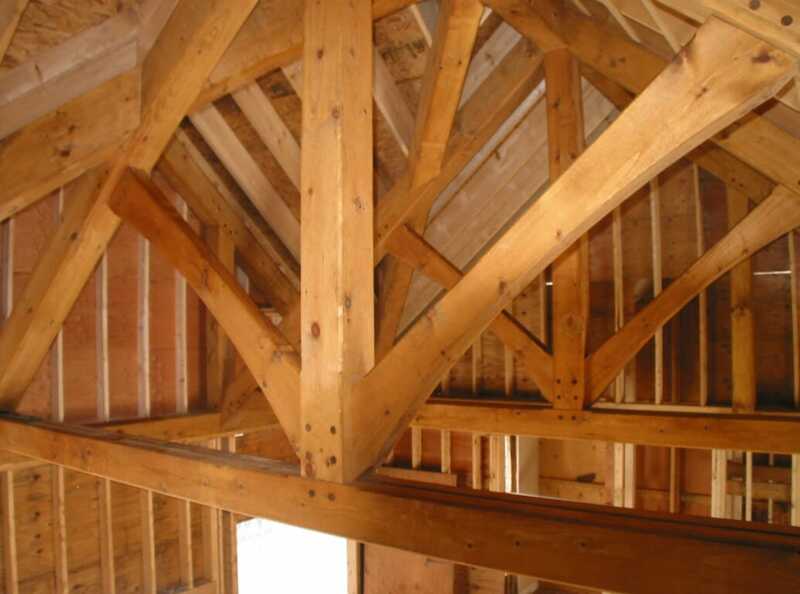 The interior of the home shows off decisions that were made early in the timber frame process, like the truss design, and how to finish the timber. 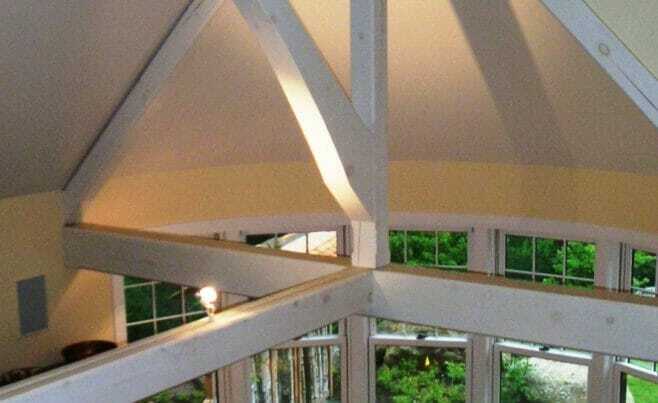 The trusses in this pool house have a king post design. 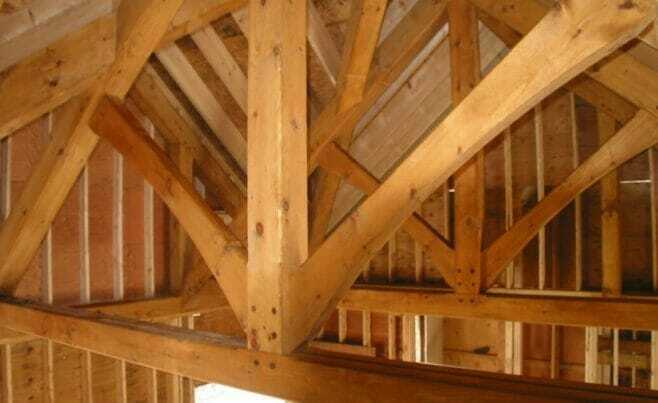 The timber is eastern white pine that has been planed smooth and pickled white.